"Presenting Growth.promo- A product from the makers of GoPinLeads"
Want to get all the details regarding all the future events near you. We know, we know. You don’t believe my words but Growth.promo is the fastest and easiest way to track all the events near you. And with a little help from Growth.Promo, you’ll be well on your way to growing and scaling your newest agency. Never miss a major event happening in your area. 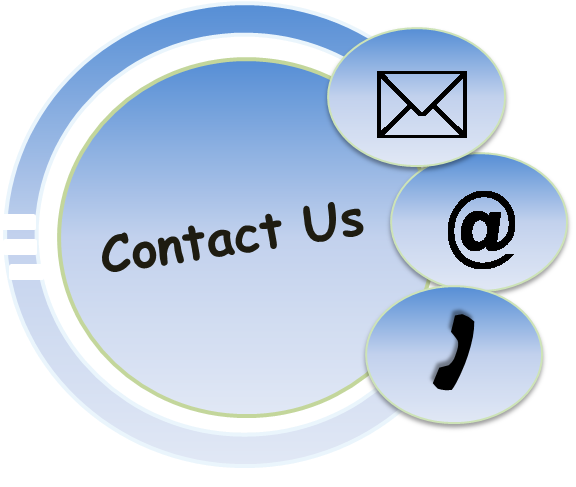 Find and use organizer’s contact details to reach out to them. Get notifications about all the events happening in the area via email and the dashboard. Price your services accordingly and increase profit. Keep track of all the major events happening in the area 3 months in advance. You’ll always be one step ahead of your competitors. Growth.promo helps business in hospitality and marketing industries to increase their revenue by partnering with event organizers to boost sales based on popular events in the area. 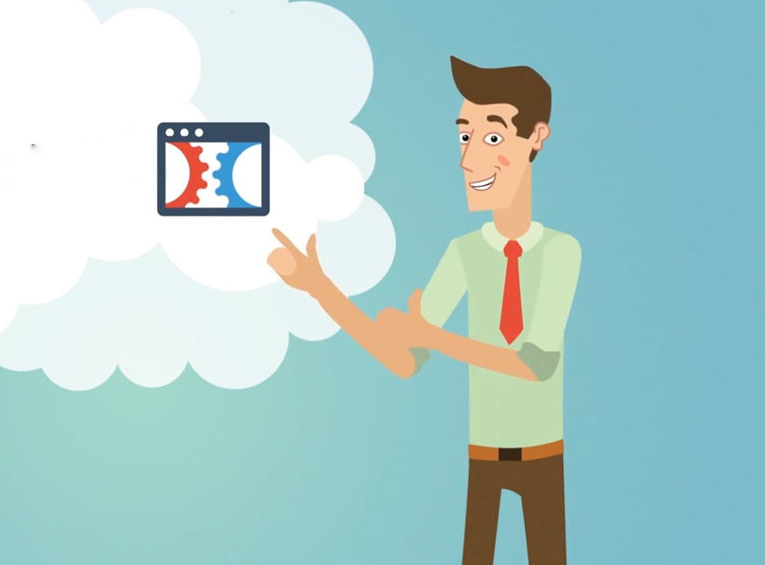 Growth.Promo is a tool that focuses on providing time-sensitive leads. Growth.Promo helps forge partnerships between businesses and event organizers, boosting sales based on popular local events near you. Our lifetime deal offers the chance to get unlimited contact details of large event organizers in your area for a fraction of the usual cost. You can also stack the deal to get more local areas and stack unlimited deals per account. It’s your chance to easily sell products and services three months in advance. 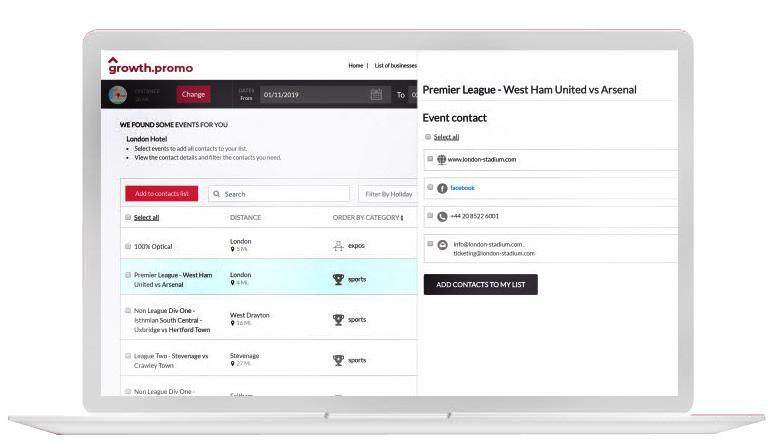 Use Popular Events to Entice Customers. Sell More. Using Growth.Promo you will be better informed about major events in the area. 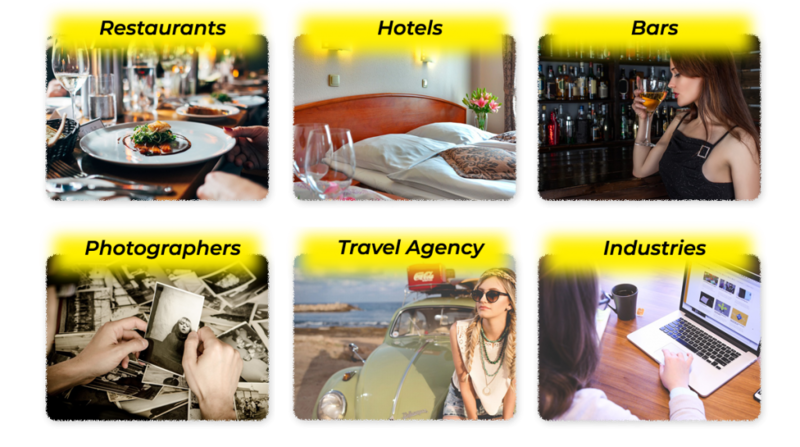 We give restaurants, hotels, bars, photographers, and any other businesses in the hospitality and marketing industries a chance to make collaborations with real growth potential. Where Susan is a revenue manager of the Marriott International in New York and she needs to book all her rooms before the season starts. She quickly signs up to growth.promo. She registers her company just for the very first time and then she can find all the events for up to three months in advance. She can download the name of the event’s organizers,their social media accounts and phone numbers in a matter of seconds with three clicks via the application. She finds Peter who is an event organizer, she offers him a deal for the hotel rooms for his attendees. Susan offers a discount and sells her inventory ahead of time. Peter has delighted customers with inexpensive accommodation and hotel partners with a fantastic reputation. Growth.promo helps business in the hospitality and marketing industries to increase their revenue by partnering with event organizers and regulating prices to boost sales based on popular events in the area. 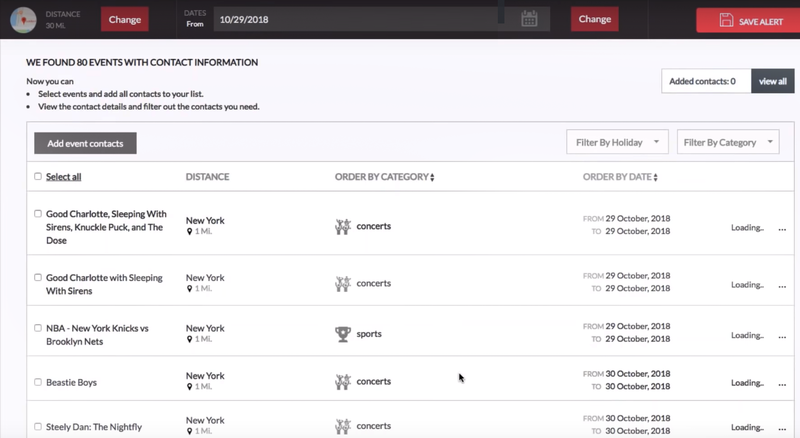 Add your business' location(s). Select your preferred event types. account and for 10 codes you get two additional accounts and so on. Q - What’s happening after Purchase? You will receive an invoice vial E-mail in which help file is also attached and in second mail you will get Coupon Code to redeem. Q - Is the deal is Stackable? Yes, you can stack as many codes as you want. On purchase of every 5 codes you will get 1 additional code. Q - What kind of data growth.promo exactly extracts?? 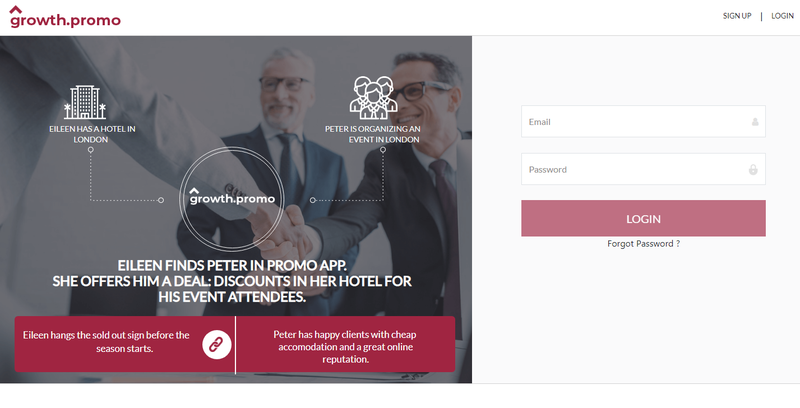 Growth.promo provides details like Events, and event organiser's emails, phone numbers, social media (Fb, Twitter, Instagram, YouTube, LinkedIn company) and event descriptions. Q - What is the future Roadmap of growth.promo? 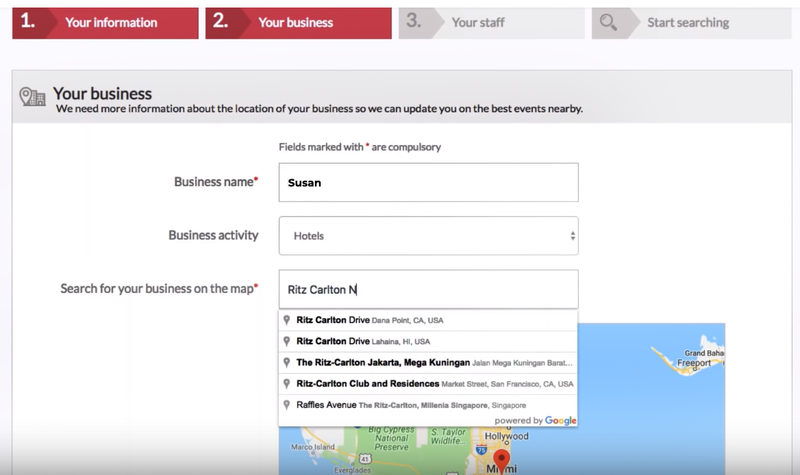 Q - Can I change my business location? Yes, you can change the business location up to 3 time in next update. Q - Growth.Promo works for how many countries? It works for all over the world. Q - What is the redemption deadline for Coupon Code? It supports Windows, Mac, Android & iOS. Support & Updates for a Lifetime.